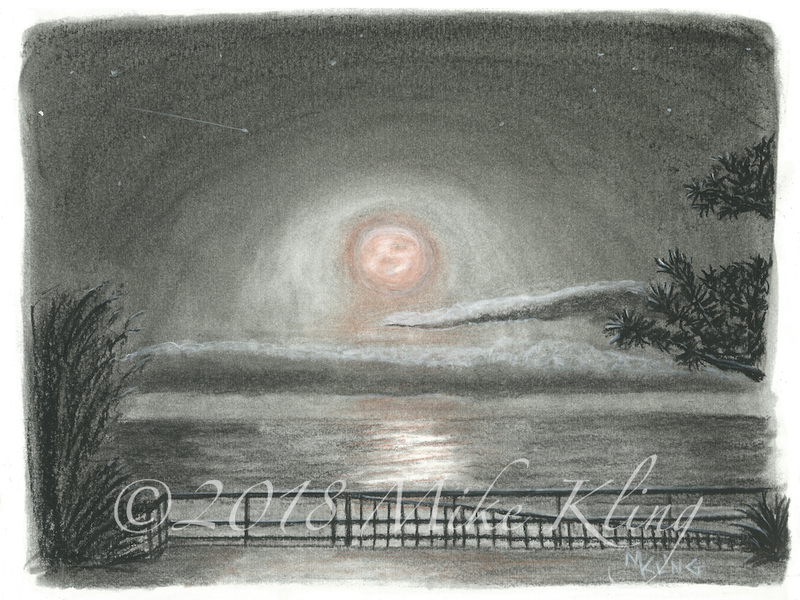 “SuperMoon Rise at Buff’s Garden #2″, 9×12”, charcoal and sanguine on bristol, 2018. 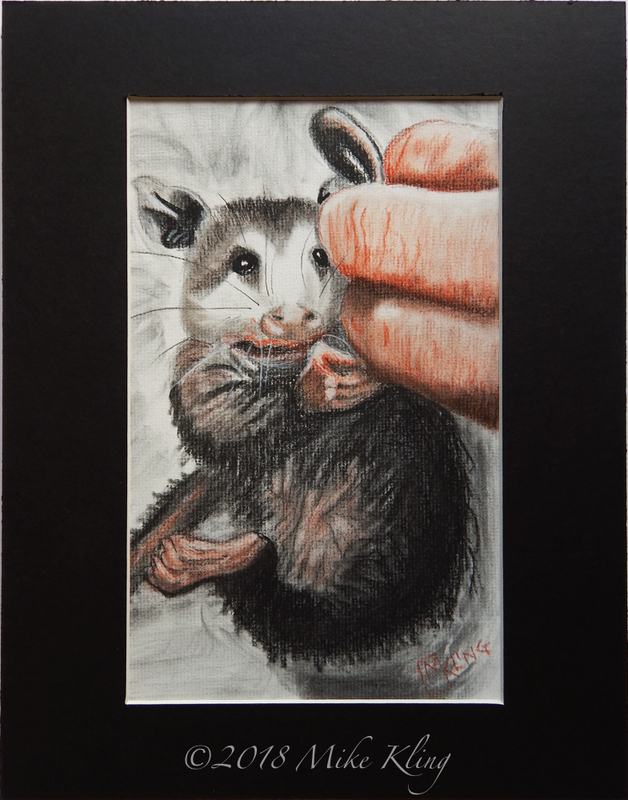 It is currently exhibited in the August, 2018 Show, “Water’s Edge” at the Artists Gallery in Virginia Beach. 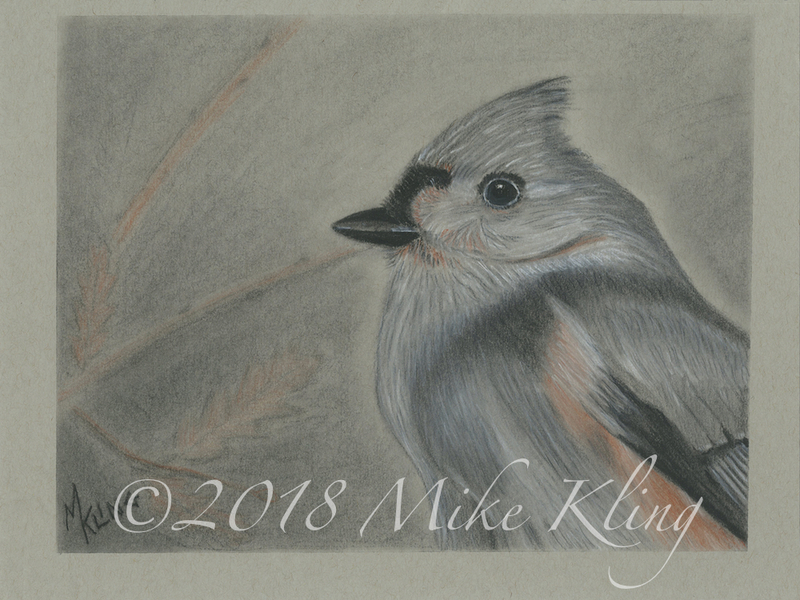 “Tufted Titmouse”, 9×12″ charcoal and sanguine on grey toned paper, 2017.